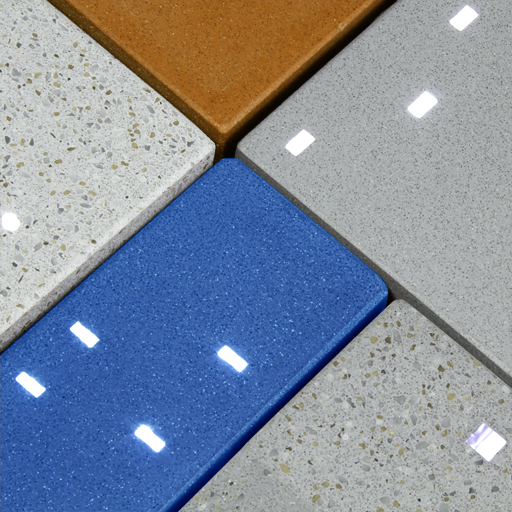 High in recycled content, our decorative terrazzo slabs and tiles unexpectedly transform into interactive, light-filtering and light-emitting surfaces. A fine concrete mix embedded with light conducting channels and formed into slabs or tiles that shift, shimmer, and twinkle in response to light, movement and shadows. Playful and eye-catching, Terrazzo™ is a sustainable material containing at least 6% and potentially up to 18% post-consumer recycled content, as well as a significant proportion of regrind. 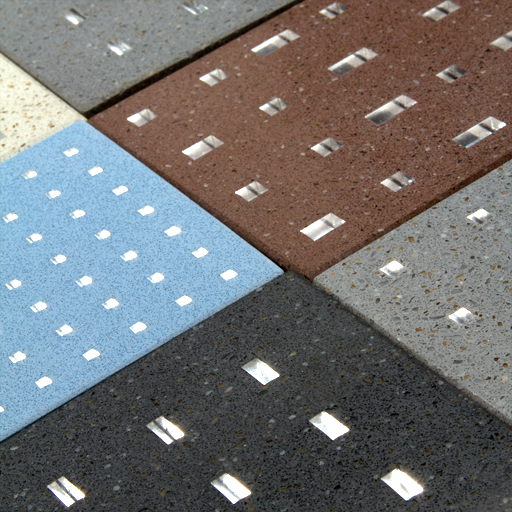 Finely-crafted concrete substrate manufactured with patented, light-conducting technology, Terrazzo Lumina™ combines the opposites of light and stone into a surprisingly elegant building material. 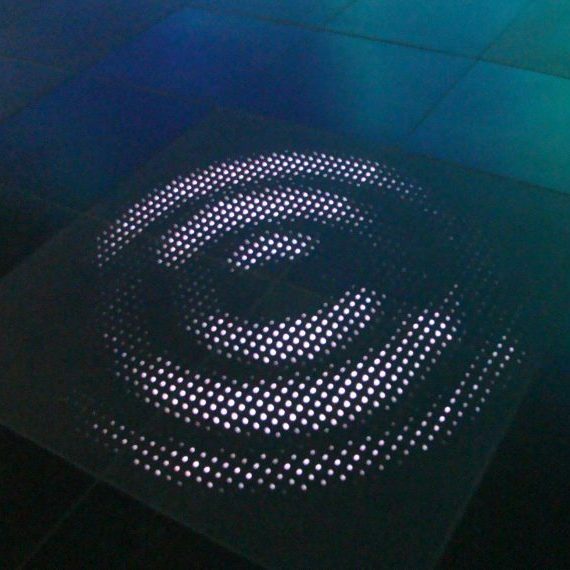 A hidden LED source transmits light through channels embedded in the solid concrete, resulting in a playful myriad of light points emanating from the surface. 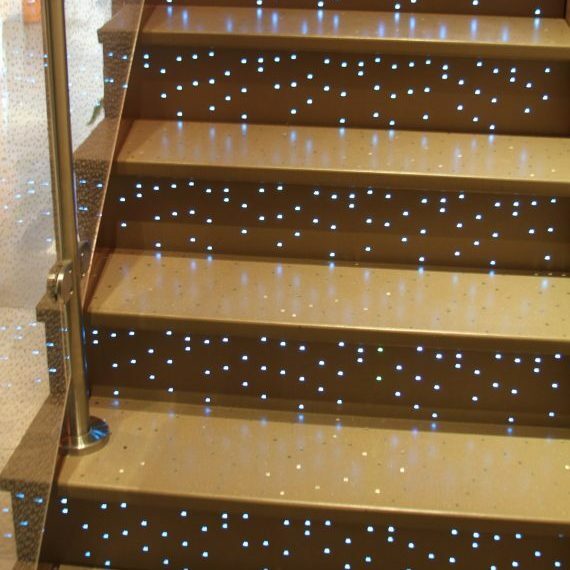 Adaptable, customizable, and containing at least 6% and potentially up to 18% post-consumer recycled content, as well as a significant proportion of regrind., Terrazzo Lumina™ is available in pre-cast slabs or tiles, or it can be custom cast to suit your project. Slabs: Large-format Terrazzo slabs -- 1-9/16" or greater thickness -- are available in custom sizes. In order to determine feasibility for your design, please send drawings and other details. 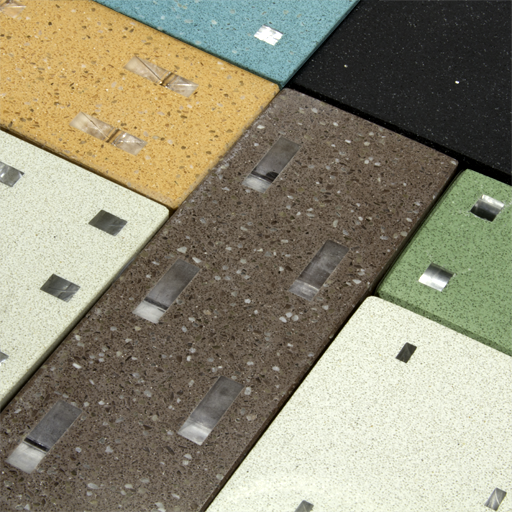 Imbue our fine concrete with your unique color palette for a perfect fit into your design. Random Pattern; Square Terminals; 1/4"x1/4"
Hardware solutions are carefully selected to balance both aesthetic and function. 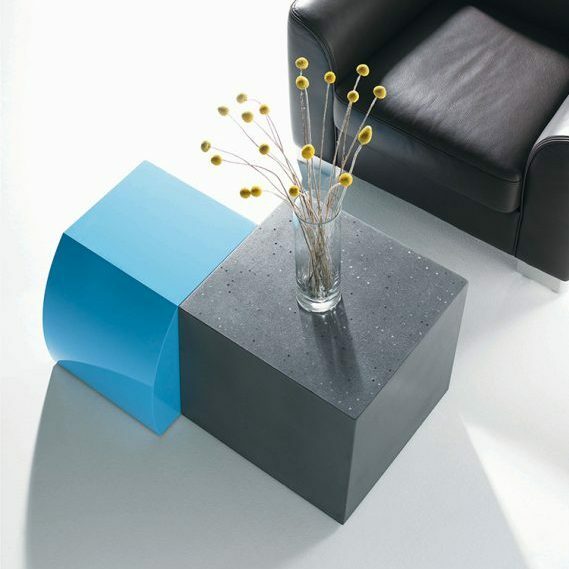 Our edge and corner treatments are the link between material, design intent, and the installed environment. Random; Rectangular; 1/8" x 1/4"
Our Terrazzo products can be curved and even cast into 3-D shapes for endless possibilities. The customizability of our materials, combined with our expertise and creativity, bring unique concepts to fruition. Curved Slabs - Radius 18"
Surround graphics and logos with interacive, light-emitting, or light-filtering concrete by incorporating metal and other materials directly into the product. Custom patterning can transform our materials into one-of-a-kind brand elements; inquire for more details. 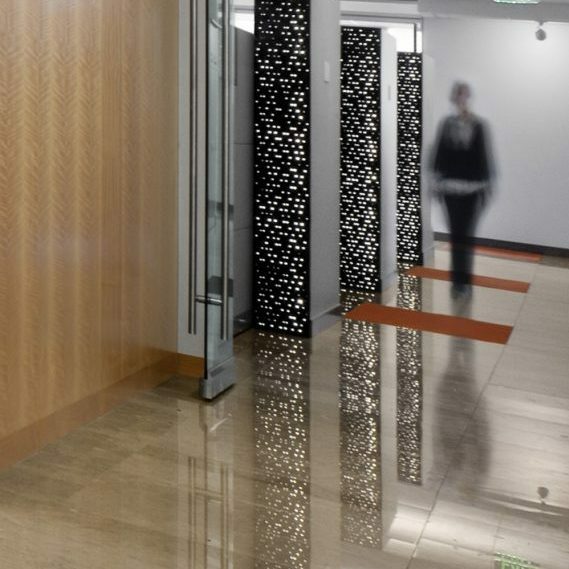 Discover materials that will resonate with your specific design intentions and applications. Our collaborative and energetic design-to-manufacture processes are directed to the common goal of a successful project per specification.